The international seagrass research and conservation community together with the World Seagrass Association calls on all governments and global institutions to take local, regional and global action to ensure the future survival of seagrass meadows. These important ecosystems can no longer be ignored on the conservation agenda, they need to be increasingly managed, protected and monitored. We need the world’s media to highlight why these marginalised ecosystems need urgent conservation attention. This statement has been endorsed by 122 scientists across 28 countries. 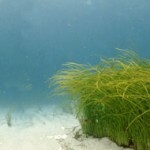 Seagrass meadows are of fundamental importance to the human planet. They exist on the coastal fringes of almost every continent on earth where they and their associated biodiversity supports fisheries productivity. These powerhouses of the sea create life in otherwise anoxic muddy environments where they stabilise sediments, filter vast quantities of nutrients and provide one of the most efficient oceanic stores of carbon on earth. The loss of seagrass from common human induced impacts such as poor water quality, coastal development and destructive fishing leads in turn to the loss of most of the fish and invertebrate populations that they support. To help stabilise our climate and to help ensure we have long-term food security we need to protect seagrasses and promote their renewal and recovery. Seagrass meadows are important fish nurseries and key fishing grounds around the World. The loss of seagrass puts the livelihoods of hundreds of millions of people at risk and exposes many people to increasing levels of poverty. Seagrass loss also places the viability of our remaining populations of green turtle, dugong and species of seahorse at risk. Seagrass loss should not be an option. There exists extensive global evidence of seagrass loss. Back in 2007 a global review of available seagrass data clearly articulated the rapid loss of seagrass (Waycott et al. 2009). Since that review of the data there exists growing records of historic, recent and current seagrass loss, degradation and fragmentation around the world. For example, a loss of 2.6 km2 of seagrass in Biscayne Bay (Florida, USA) between 1938 and 2009 (Santos et al. 2016). Other recent examples in the literature come from a lagoon in SE of France where up to 38% of the seagrass may have been lost since the 1920s (Holon et al. 2015) and from the nearshore waters of Singapore where some 45% of seagrass has been lost over the past 5 decades (Yaakub et al. 2014). Similar examples of extensive loss have been reported from Canada (Matheson et al. 2016), and the Caribbean (van Tussenbroek et al. 2014). In the British isles seagrasses have been found to be in a widespread perilous state (Jones & Unsworth 2016). Even the Great Barrier Reef Marine Park has suffered periods of widespread decline and loss of seagrass over the past decade; particularly along its central and southern developed coasts. These declines were a consequence of multiple years of above average rainfall, poor water quality, and climate-related impacts followed by extreme weather events. The most recent (published) monitoring surveys (McKenzie et al. 2015) showed that the majority of seagrass meadows across the GBR (which cover a total of some 3063 km2) remain in a vulnerable state, with weak resistance, low abundance and a low capacity to recover (McKenzie et al. 2015). As our human population rapidly grows and the economies of many countries expand rapidly there is increasing anthropogenic pressure in our coastal zone. We need to find ways to ensure that this coastal expansion doesn’t negatively influence seagrass meadows. We already recognise that poor water quality, specifically elevated nutrients, is the biggest threat to seagrasses. These problems are particularly acute in many developing nations with rapidly growing economies, where municipal infrastructure is often limited and environmental legislation are largely weak. Coastal development is a global problem facing seagrass, from Wales to Indonesia there is increasing competition for finite space in the coastal zone. Boating, tourism, aquaculture, ports, energy projects and housing are all placing pressures on seagrass. These local and regional threats to seagrass all exist with a backdrop of the impacts of environmental change and sea level rise. Seagrasses need to be subjected to reduced local human impacts so that they have the capacity to remain resilient to the impacts of these global longer term stressors. Although seagrass meadows are threatened the world over, we recognise that some significant positive changes are taking place. A brighter future can exist for seagrass. Throughout the world, communities, NGO’s and governments are beginning to embrace the monitoring of seagrass meadows, we have increasing evidence of successful seagrass restoration, our knowledge of the ecology of seagrasses is rapidly improving, and the worlds media are picking up on their plight. In places such as Tampa bay in Florida and the Chesapeake Bay we’ve seen genuine large scale seagrass recovery. We also now have greater appreciation for the value of seagrass in the global carbon cycle and there is a willingness of governments to include seagrass conservation in ways to mitigate carbon emissions. These successes are commendable, but are only a mere initial foundation from where scientists, conservationist, policy makers and managers worldwide should embark on a course of targeted strategic action in order to achieve a brighter future for seagrass. We call for action to be taken to secure a future for seagrass. This means improving local water quality, preventing damage from destructive fishing practices, including seagrasses in MPAs and ensuring that fisheries aren’t over exploited. Seagrasses also need to be managed effectively during coastal developments and bold steps need to be taken to ensure the recovery and restoration of these habitats in areas where losses have occurred. We as a scientific community need to be more united, sharing global datasets, making information open access and becoming a team of scientists fighting for the survival of seagrasses. This means as scientists engaging further and more actively with the general public, coastal managers and conservation agencies. For our proposed actions to take place we need seagrass ecosystems to fully pervade the policy sphere around the globe as well as the consciousness of our global coastal communities. This needs genuine committed support from global institutions, the world’s media, governments and funders. We need to ensure that seagrasses become part of the environmental education world and that the world’s media build on recent progress so that people begin to recognise the need for sustained commitment to seagrass conservation. This statement was originally authored by Richard Unsworth, Len McKenzie, Jessie Jarvis and Mike van Keulen. Additional input into the statement was then provided by Paul Erftemeijer, Jeff Gaeckle, Lina Mtwana Nordlund, Ben Jones, Richard Lilley, Leanne Cullen-Unsworth, Alexandra Cunha and Jennifer Verduin. Holon, F., P. Boissery, A. Guilbert, E. Freschet, and J. Deter. 2015. The impact of 85 years of coastal development on shallow seagrass beds (Posidonia oceanica L. (Delile)) in South Eastern France: A slow but steady loss without recovery. Estuarine Coastal and Shelf Science 165:204–212. Jones, B. L., and R. K. F. Unsworth. 2016. The perilous state of seagrass in the British Isles. Royal Society Open Science 3. Matheson, K., C. H. McKenzie, R. S. Gregory, D. A. Robichaud, I. R. Bradbury, P. V. R. Snelgrove, and G. A. Rose. 2016. Linking eelgrass decline and impacts on associated fish communities to European green crab Carcinus maenas invasion. Marine Ecology Progress Series 548:31–45. McKenzie, L., C. Collier, L. Langlois, R. Yoshida, N. Smith, M. Takahashi, and M. Waycott. 2015. Marine Monitoring Program: Inshore seagrass, annual report for the sampling period 1st June 2013 – 31st May 2014. Santos, R. O., D. Lirman, and S. J. Pittman. 2016. Long-term spatial dynamics in vegetated seascapes: fragmentation and habitat loss in a human-impacted subtropical lagoon. Marine Ecology-an Evolutionary Perspective 37:200–214. van Tussenbroek, B. I., J. Cortés, R. Collin, A. C. Fonseca, P. M. H. Gayle, H. M. Guzmán, G. E. Jácome, R. Juman, K. H. Koltes, H. A. Oxenford, A. Rodríguez-Ramirez, J. Samper-Villarreal, S. R. Smith, J. J. Tschirky, and E. Weil. 2014. Caribbean-wide, long-term study of seagrass beds reveals local variations, shifts in community structure and occasional collapse. Plos One 9:e90600. Waycott, M., C. M. Duarte, T. J. B. Carruthers, R. J. Orth, W. C. Dennison, S. Olyarnik, A. Calladine, J. W. Fourqurean, K. L. Heck, A. R. Hughes, G. A. Kendrick, W. J. Kenworthy, F. T. Short, and S. L. Williams. 2009. Accelerating loss of seagrasses across the globe threatens coastal ecosystems. Proceedings of the National Academy of Sciences of the United States of America 106:12377–12381. Yaakub, S. M., L. J. McKenzie, P. L. A. Erftemeijer, T. Bouma, and P. A. Todd. 2014. Courage under fire: Seagrass persistence adjacent to a highly urbanised city–state. Marine Pollution Bulletin 83:417–424.